Essentially, the crime is made out if you intentionally or recklessly damage property. Most commonly it is damage to cars and windows, very often as an act of revenge. The damage does not need to be permanent. There have been cases where graffiti, water-soluble paints on a pavement and squashing a policeman’s helmet have all been held to be damage, as has flooding a police cell. If action, expense or inconvenience is involved in putting the matter right then damage will have been caused, as would be the case if you created ‘crop circles’ in a wheat field. The court will consider all of the circumstances, whether something is damaged is a matter of fact or degree to be decided by the court. What if it is my property? You cannot unlawfully damage your own property, but it can still be an offence to damage jointly owned property. So, a person who smashes up a family home in a fit of rage would very often be guilty of the offence. There is sometimes a fine line between accident and recklessness. To prove recklessness, the court should be sure that you were aware of a risk that property would be damaged, and, in the circumstances, it was unreasonable for you to take that risk. The offence can be committed by being reckless or intending to cause the damage. Intent is simply that you committed the damage on purpose (although in legal terms it is slightly more complex than this). Whether the offence is committed depends on damage being caused without “lawful excuse”. You would have lawful excuse if you believed you had consent to cause the damage or would have had consent or that you were protecting your own property or that belonging to someone else. Your actions would have to be reasonable in all the circumstances. It is your belief that is important so if it is honestly held it may not matter if the belief is not justified. Causing damage simply because you are drunk will afford neither a defence nor mitigation. Where will I be dealt with? This offence will be dealt with in the magistrates’ court where the value involved does not exceed £5,000. When there is more than one offence of damage the total of the damages will be used to calculate whether the offence is £5,000 or less. The court determines the value of the damage in deciding whether they are to deal with the case. Where damage is caused by fire (arson) different considerations apply. Is there a time limit on prosecution? Even though certain offences can only be dealt with in the magistrates’ court the six-month time period for prosecution does not apply. What sentence will I get? 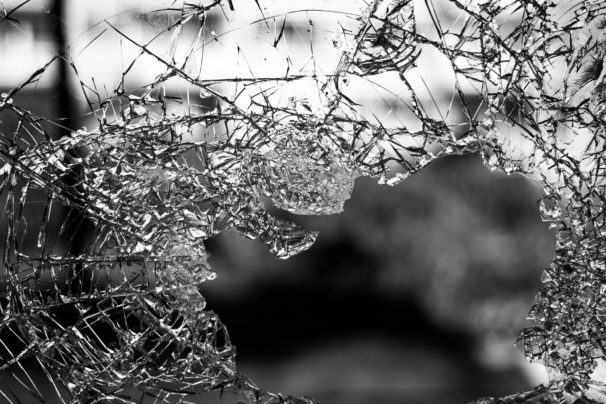 Minor damage such as breaking a small window is likely to result in a conditional discharge or fine. Significant damage up to £5,000 caused as part of a spree can lead to a community order or custody of up to three months. The higher the value, the more likely imprisonment will be imposed, the maximum sentence at the crown court is ten years. In appropriate cases we will work hard to have your case diverted away from the criminal justice system, an early apology and offer of compensation can sometimes be enough to avoid a criminal case. If you would like to speak to someone about your case, please contact us on 0113 247 1477 or email us at [email protected].